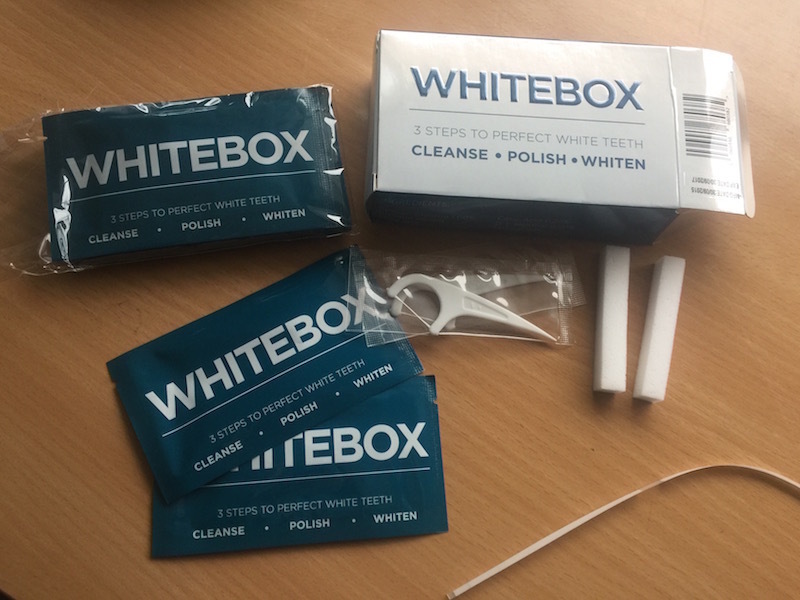 I Received my Whitebox teeth whitening kit in the post a few weeks ago now and I was so exited to try it! – Designed by london based UK dentists these are peroxide free and offer ZERO sensitivity + discomfort, and only used enamel safe ingredients – yeeyyyyy! Upon opening the Whitebox box, I noticed its a bit different to other teeth whitening kits I’ve tried, especially strips. White box works with the steps Cleanse, Polish, Whiten, and so includes tools to to this. Along with the plentiful supply of strips ( a two week supply at one a day! : o) its also includes floss sticks, high density cleaning sponges and a german made polishing strip which helps cleanse and polish your teeth of stains before treatment. 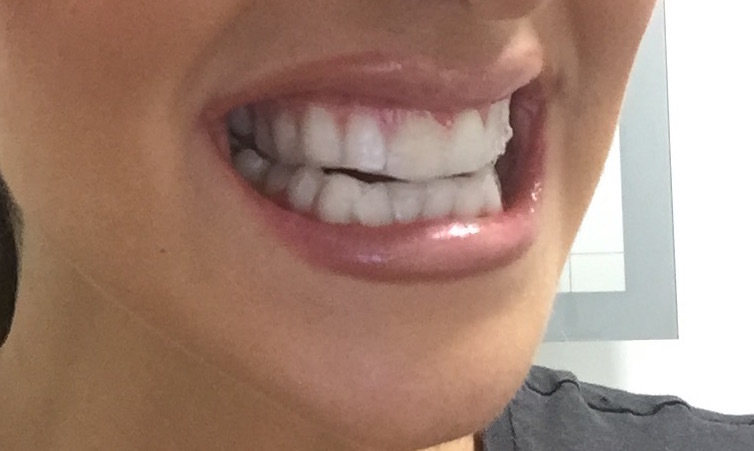 So I began by brushing my teeth with a whitening toothpaste as directed, I then used the flossing sticks and rubbed the sponges ( a sort of long, dry, white foamy strip) and polish strip ( thats the thing that looks like a a long frosted strip of celophane) on my teeth – With these steps I am surprised already at how these seemed to really be working! – ( theres a video below on how to do this! )… and then I applied the strips. The strips are much denser than crest strips, the gel and backing strip in thicker which I found much easier to apply and better for staying on!.. and the best part, I received no sensitivity! 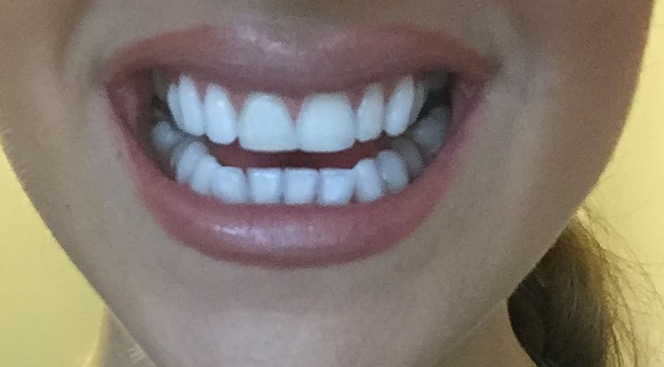 The first Whitebox teeth whitening strips on! So my verdict – BEST IVE TREID SO FAR! These are £14.99 to buy depending on outlet so are much cheaper than alternatives also. 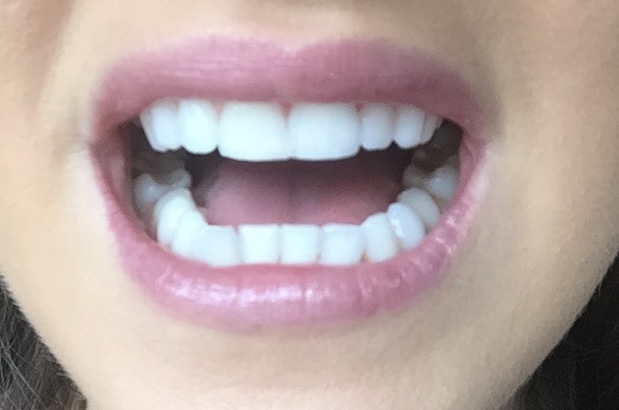 Im going to be honest, I haven’t even used the full 14 strips yet as they are THAT GOOD I haven’t felt the need to, I have bonding on one of my teeth and they work so quickly If I used anymore my teeth wouldn’t match the bonding! 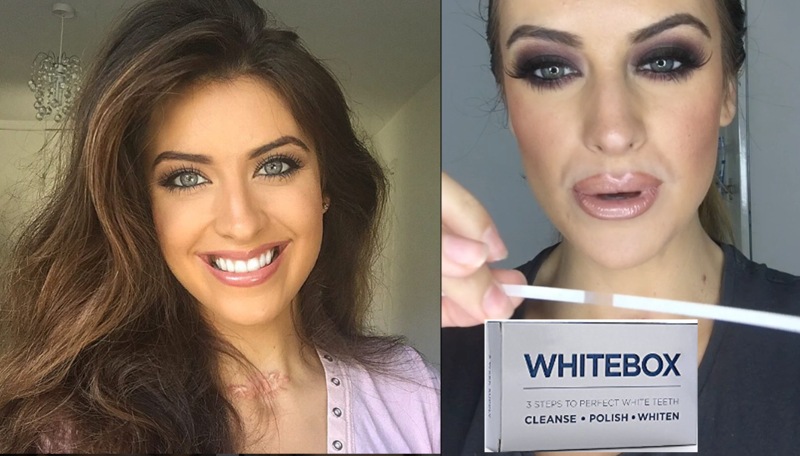 …..I’m a bit in shock about finding a teeth whitening product that seems to tick all the box’s + be great with impatient want-my-teeth-as-white-as-a4-paper-NOW people like me! Previous Article← At work with me: Leonie Claire + Rue De Seine Shoot!